Or for me. 😛 But I’m trying to do a bit of a better diet for the next couple of months, so I’ll try not to eat them all! 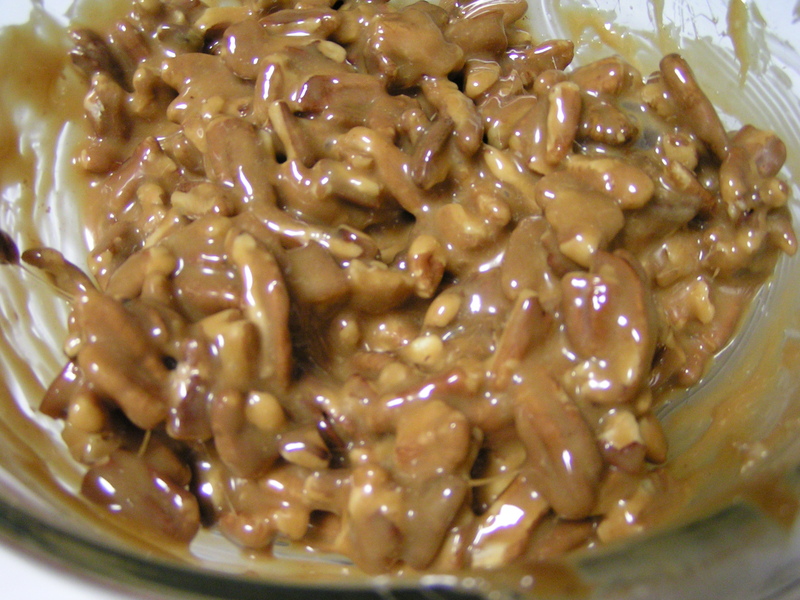 I find few things as close to perfection as the combination of pecans, caramel, and chocolate. 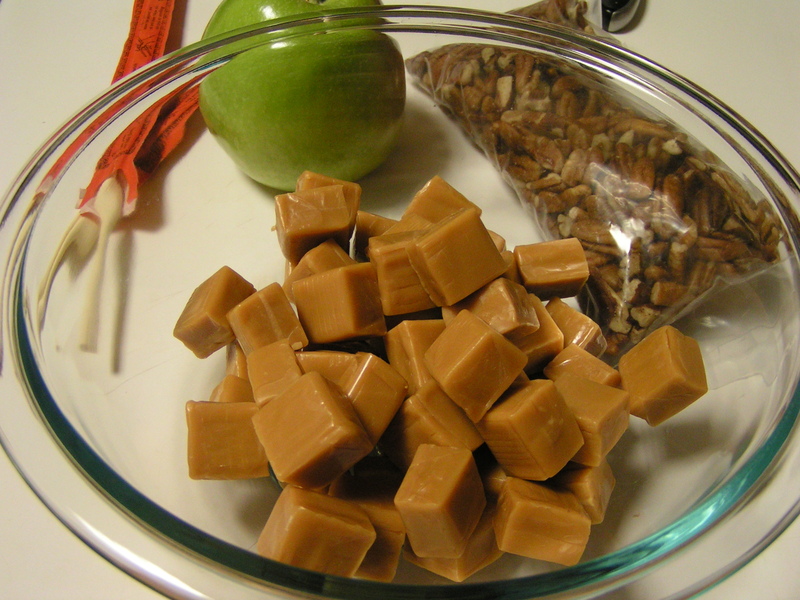 And with all the candy out and about lately, I decided to make some at home. I might try to be more artistic with the chocolate next time, but today, the point was, “how do they taste?” Will they still that little voice in my head telling me that I missed out on Haloween because I didn’t go nuts on candy? No pun intended there, but I’m a little nuts too just now! 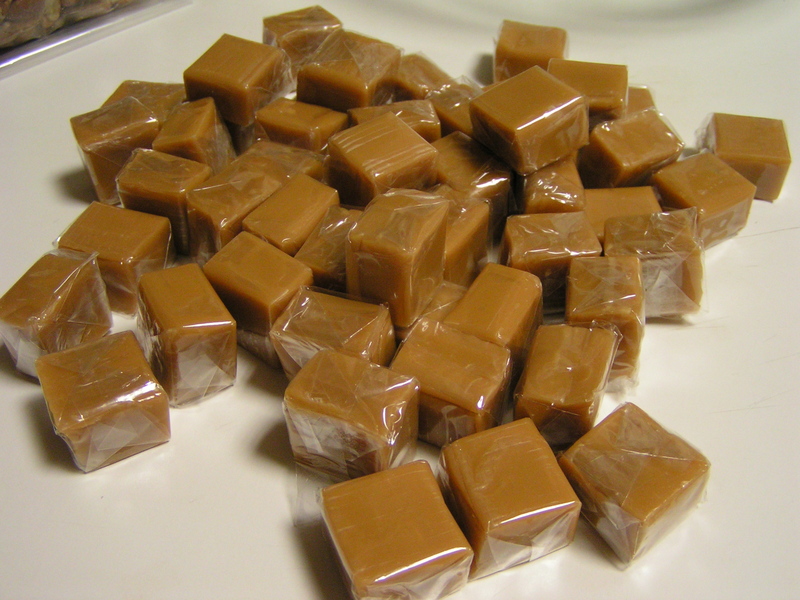 Grabbed a package of caramels at the store. The last package. The one I had to get down on my knees in HEB and reach all the way to the very back of the shelf kind of stuck in the crack back there package. People were staring. I NEEDED caramels. 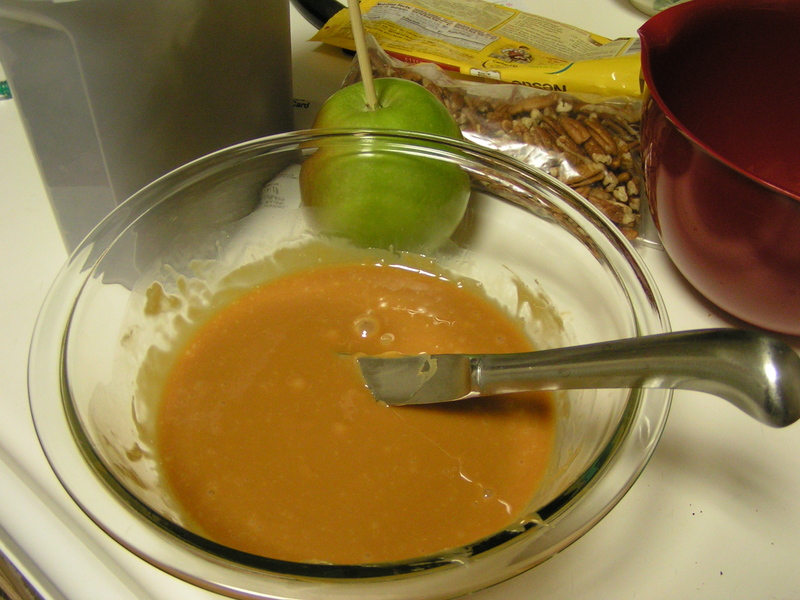 and melted the caramels (easy) in a Pyrex bowl in the microwave. Took a couple of minutes, with plenty of stirring in between minute 1 and minute 2. 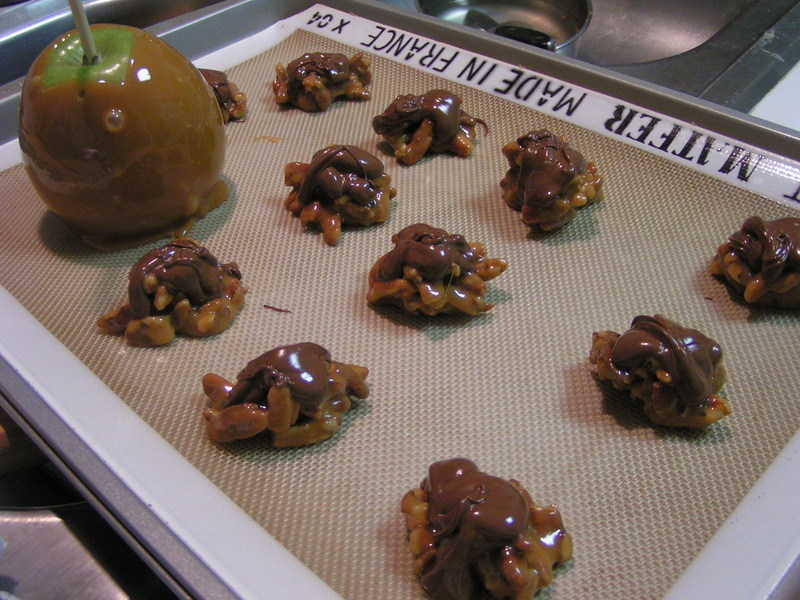 That beautiful Granny Smith apple back there is for the caramel apple Rat Boy asked me to make. 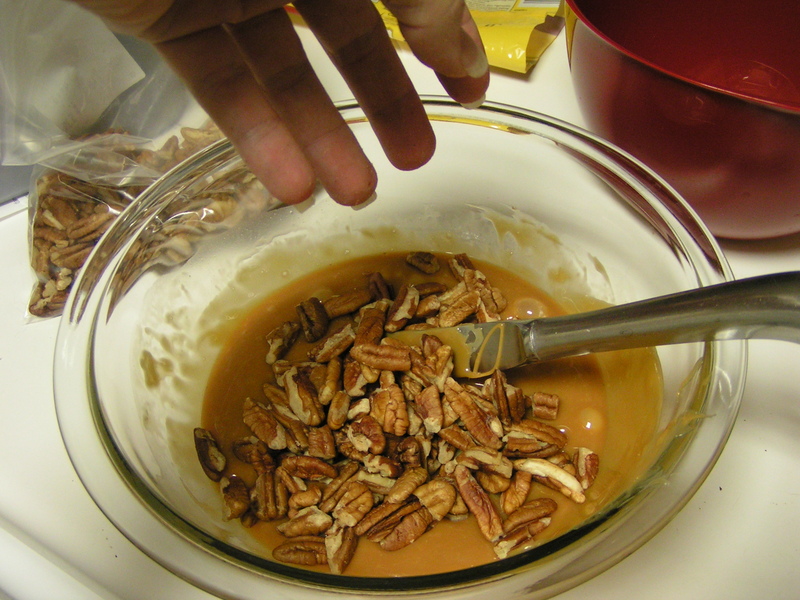 Stir until the pecans are well coated. It’s sticky and gooey and just marvelous. Melt chocolate in the microwave for the next layer. 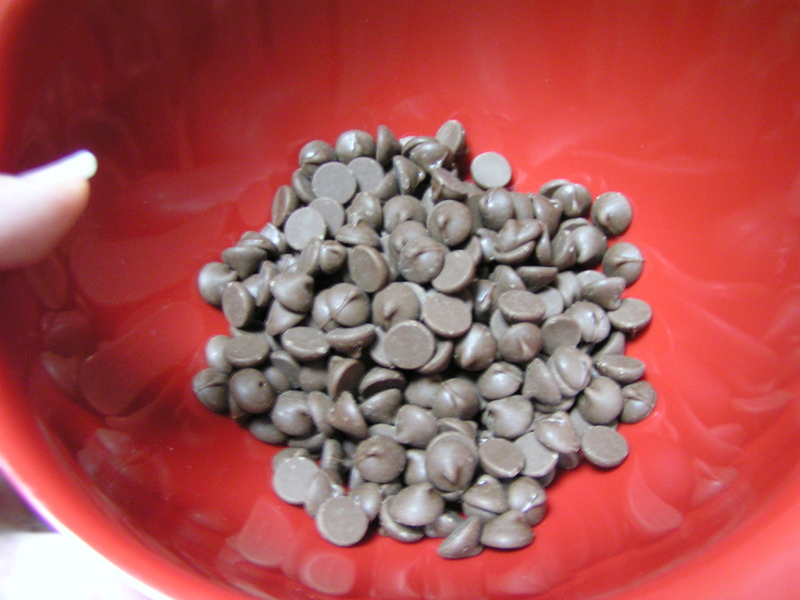 I decided to go with milk chocolate chips. Easy to melt…not patient enough to temper chocolate. I used half a bag. 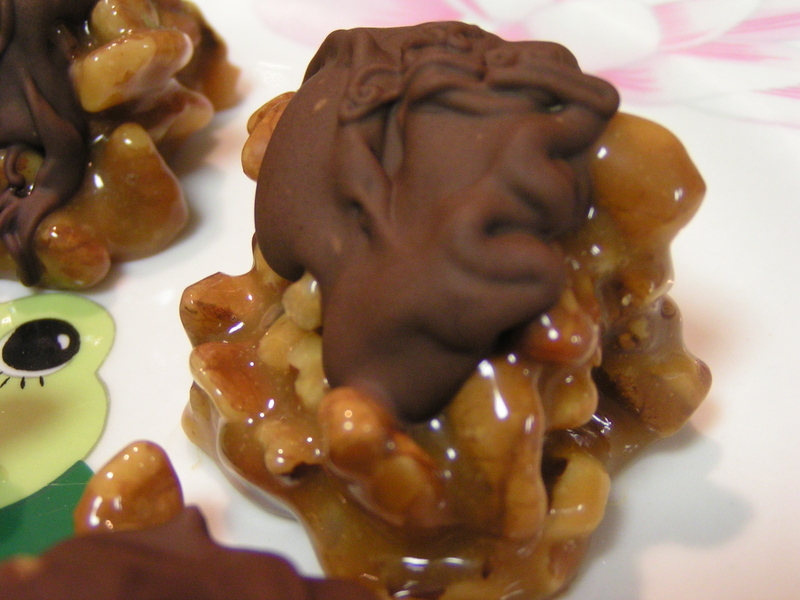 Drizzled the chocolate off a teaspoon onto the pecan clusters. 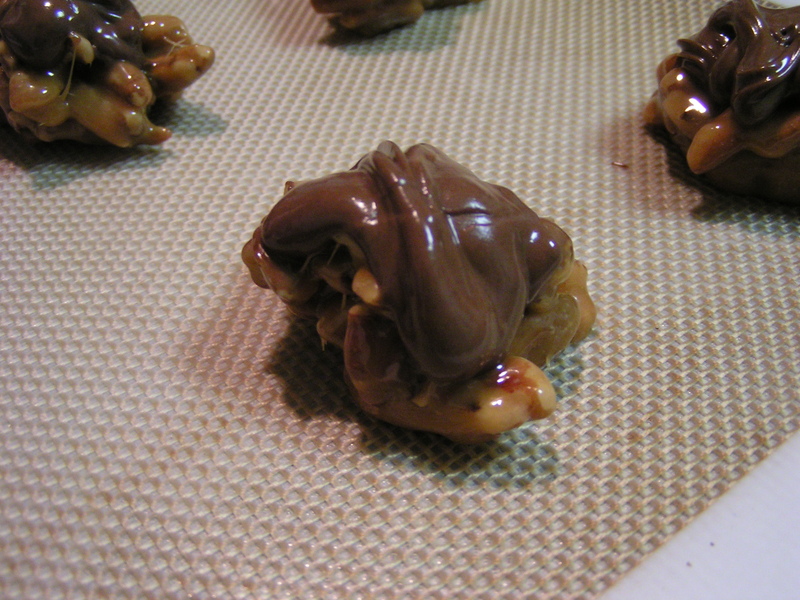 Let them cool of a while on a silpat or parchment paper. They are VERY sticky! I just had to get closer to the deliciousness. And then taste a couple…still warm….I think I died and went to Heaven! Briefly. Chill them in the fridge for about 2 hours, and the chocolate will set up. You can keep them at cool room temperature (and eat them) until your candy cravings are banished! Or mine. That might be never though. I never thought making turtles was easy. Now I’ll have to make these this Sunday. OMG…SO easy! 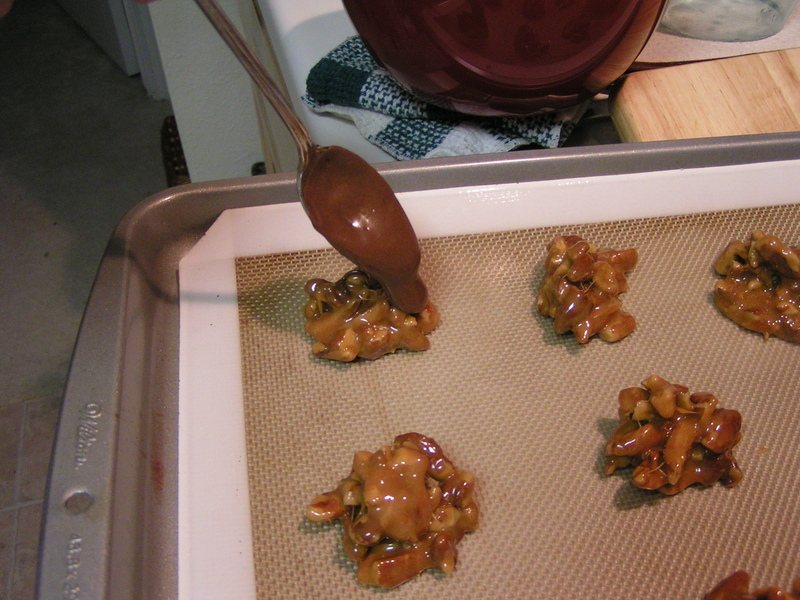 VERY sticky, but the licking at the end of the caramel phase was half the fun! This morning, they are set up perfectly, yay! 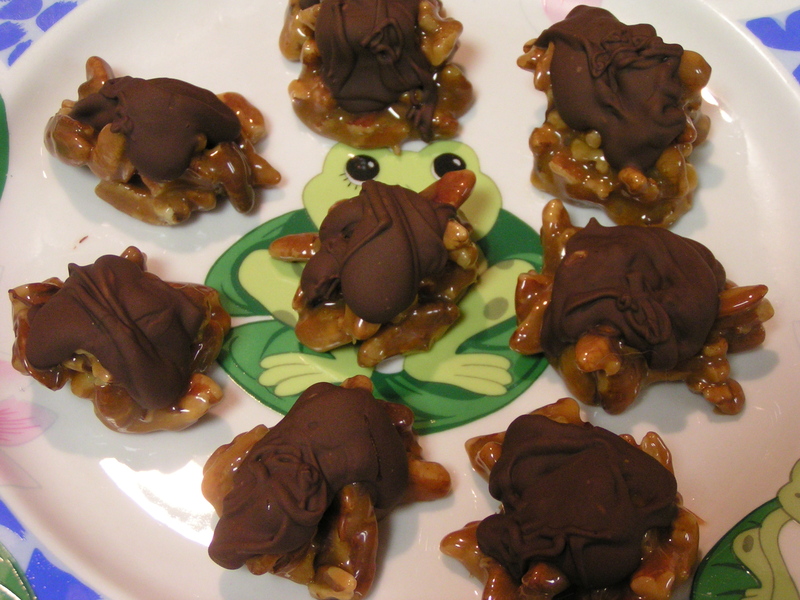 With way more pecan goodness than you get from the store bought ones. NOTE: When you move them to a plate, put some wax paper under them, or they will cement to the plate! 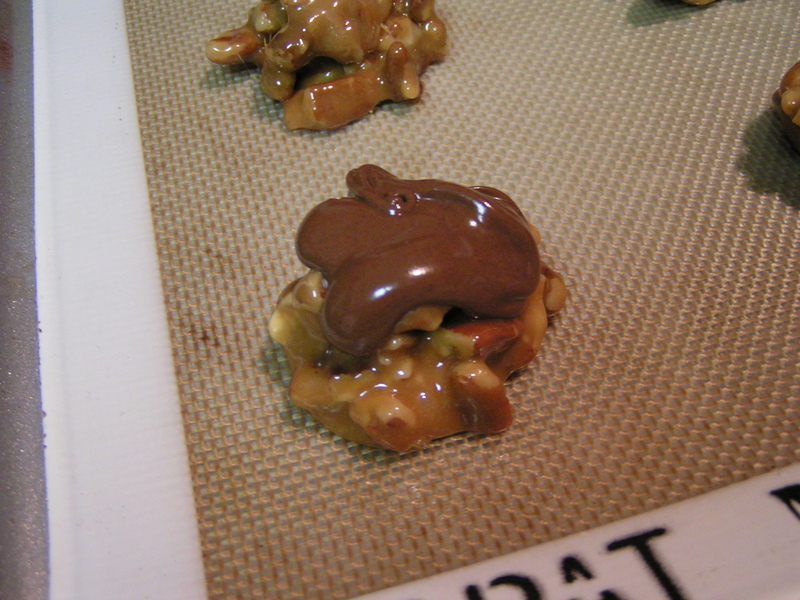 Chocolate, nuts and caramel…. aaahhh.. Heavenly!